Treat your business like a business because it is! This means having a separate bank account for business income and expenses and a separate credit card for business use only. All income for your business should go into the separate bank account. Pay for supplies, etc. from this account. When you need a “paycheck,” withdraw from the business account and put it in your personal account to pay your personal bills and expenses. Don’t mix and mingle money…it’s too hard to prove later if you muddy the water. Just because you put your business/company name on your vehicle, not every single mile you drive is tax deductible. Get in the habit of writing down a mileage log each time you get in your car OR get one of the handy mileage apps (Lynette uses MileIQ for her direct sales business). When you take someone out to coffee, lunch, etc to discuss business or your opportunity, take a minute afterward to make notes on the back of your receipt about the meeting (who you met with, what you talked about, etc). You won’t remember next year (or in 3 years when you get audited) but with notes, your memory will be triggered. Lynette keeps a #10 envelope for receipts in her purse that she cleans out monthly. She then puts the information into her accounting software. (We’ve heard many in our community mention they use QuickBooks Self-Employed Plan, which includes a mobile app that captures receipts via photos and integrates with PayPal and Square). 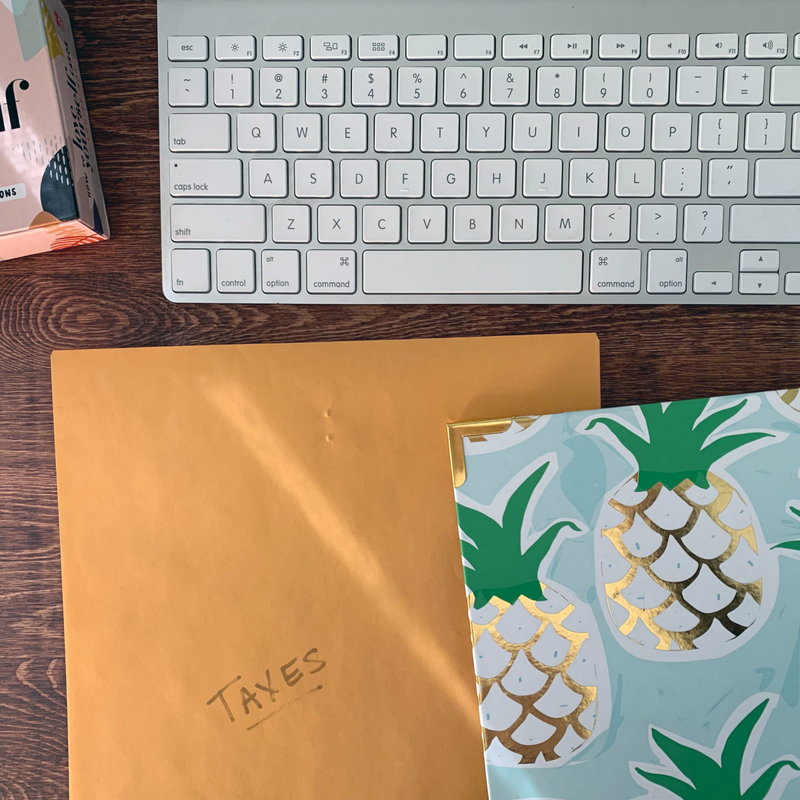 If you’ve already completed your taxes, congratulations! 🎉 For those of you still working through everything — you’ve got this! We hope Lynette’s advice helps make life this time next year less stressful. This article was prepared for informational purposes only and should not be relied on for tax or accounting advice. You should consult your tax and accounting advisors relating to your specific situation. Maven does not receive affiliate fees for any of the recommendations provided in this article.